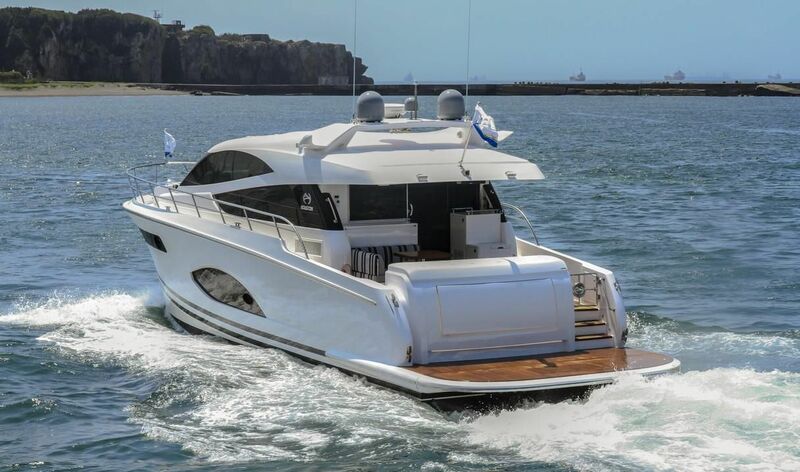 Our first sport yacht model, the new Horizon E56XO combines sleek exterior styling and numerous outdoor amenities with luxurious interior accommodations. 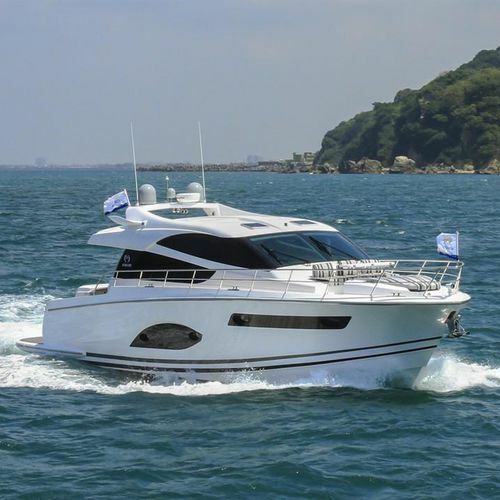 She is based on the popular E56 model but offers new alfresco entertaining areas, including a custom-designed aft deck transom cabinet that transforms into a serving area and forward deck dinette and sunpads. 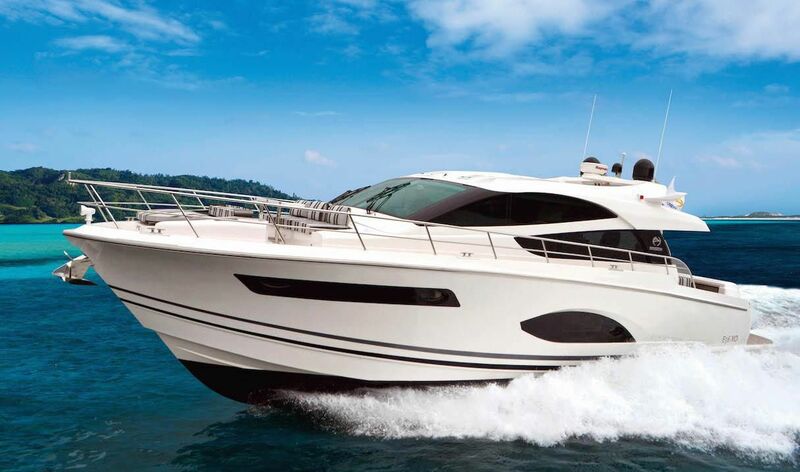 The E56XO and her spacious 15’9” beam provides a fully-equipped galley, flexible salon area, and lower helm on the main deck, along with three comfortable guest staterooms -- a full-beam Master, VIP cabin in the bow, and twin guest cabin to starboard – below deck. 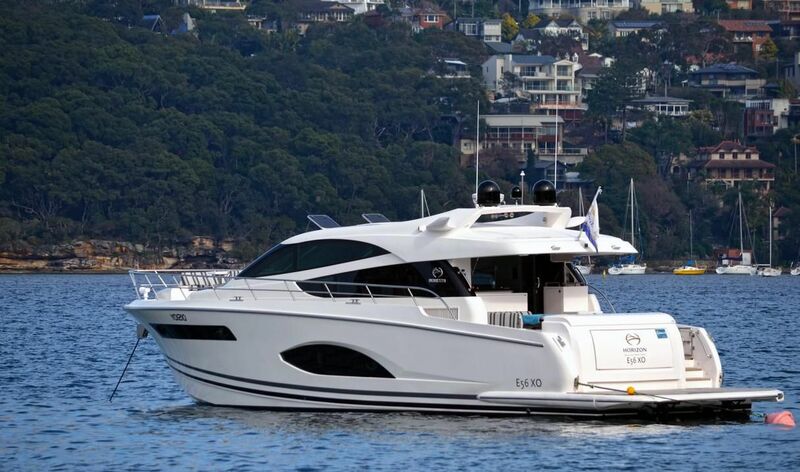 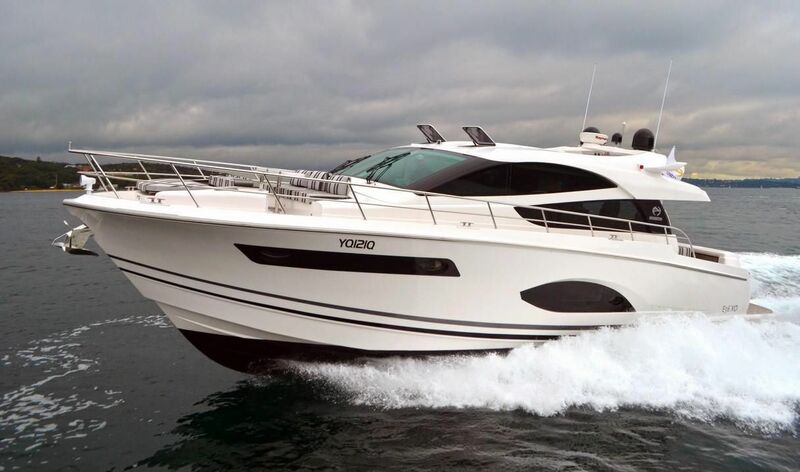 Powered by Volvo IPS 950 engines, she will attain a top speed of 32 knots for the ultimate sport yacht experience.